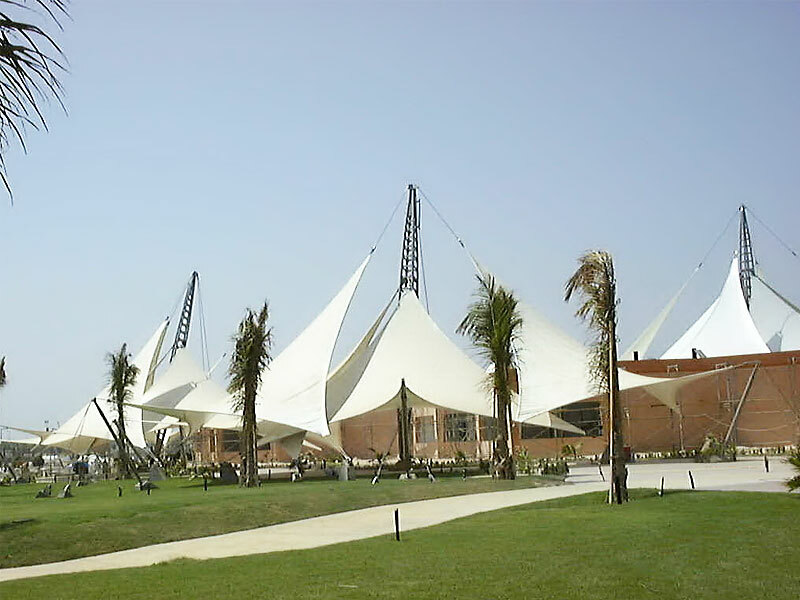 Sail Island Recreation Park situated at the Red Sea. 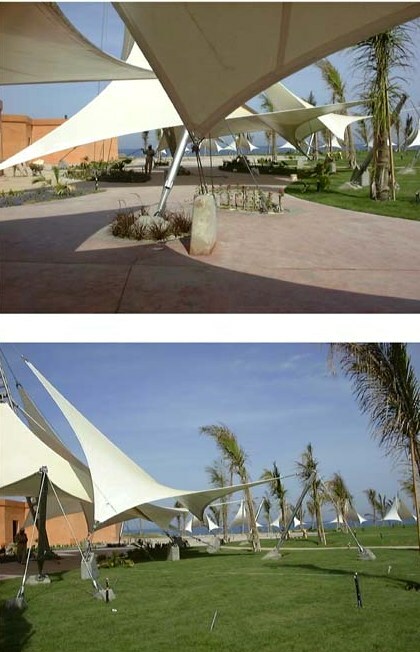 Shading roofs in the form of four-point sails. 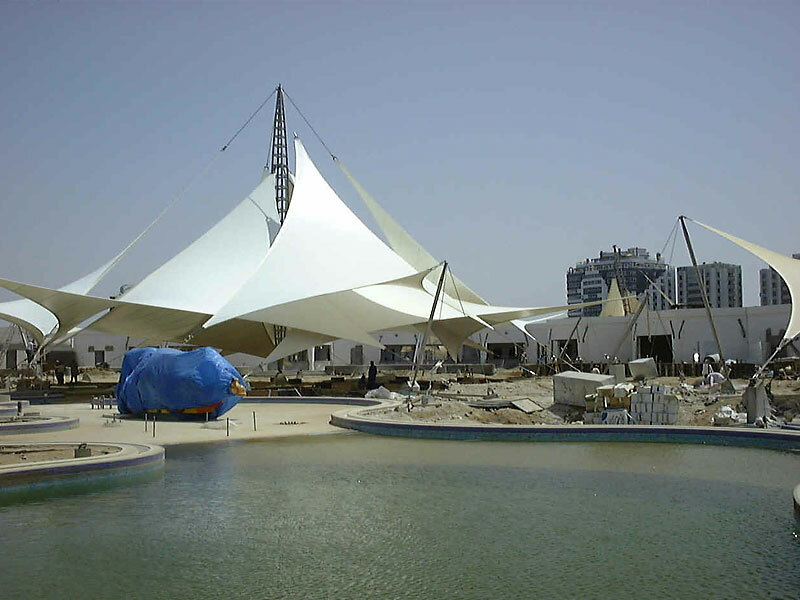 The individual tent groups comprise three to eight four-point sails. 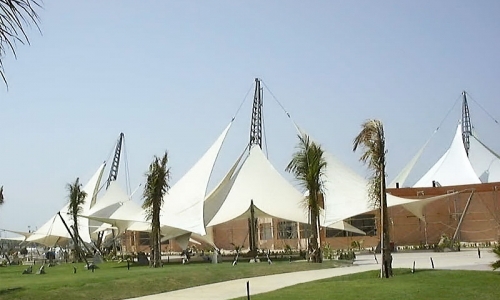 The lattice masts are made of stainless steel. 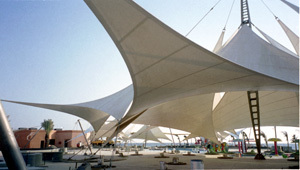 Scope of Work: structural design, form- finding and cutting pattern.